Whether you're at home, in the office, or on the road, keeping in touch with friends, family, and business associates is easy with the LifeCam NX-6000. 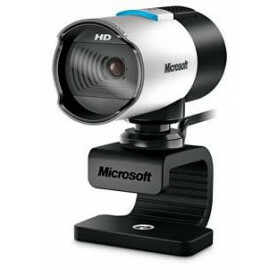 Compact and reliable, this webcam was designed especially for notebook computers. Start a movie project with one click, then upload widescreen video to social networking sites. Easily upload a photo that you can edit, tag, and share with friends and family. It's simple to start video calls. One touch of the Windows Live Call Button lets you see who's online, and you're on your way to making a video call. 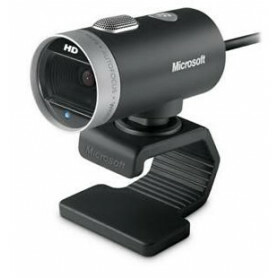 Add special effects and control your webcam—all from the Windows Live Messenger window. An ultra-compact notebook webcam for video calling. High Defintion Video that is 1.3 MP video or greater. High Definition still photos show you in the best light. Seamlessly integrated with Windows Live Messenger for easy setup and use. The built-in microphone automatically picks up your voice with remarkable clarity. 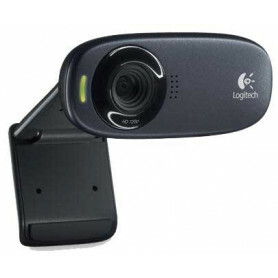 The zoom delivers realistic, up-close-and-personal video, so you can see the contours of every smile. Quickly and easily access common tasks, including product information, registration, settings and more for popular devices such as cell phones, cameras, printers, and mouse, keyboard and webcam products. See the smiles clearly with 640 x 480 pixel video resolution. See the smiles clearly with up to 1.3MP Video Calling. The 71 degree wide angle lens ensures no one gets left out of the picture. Discover a fun way to express yourself with these entertaining video effects built into the LifeCam dashboard. The pan and tilt functionality make it a snap to capture the big picture, however you want to see it. Automatic audio control for enhanced clarity. Works with: Windows Live™, AOL Instant Messenger, Yahoo! Messenger, Microsoft Office Communicator, Skype. 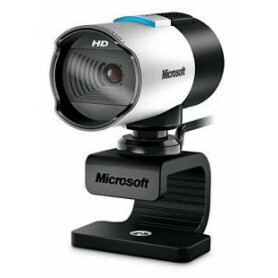 The webcam is always in focus – no fine tuning needed. Focus depth of field is from 21” to 60”.